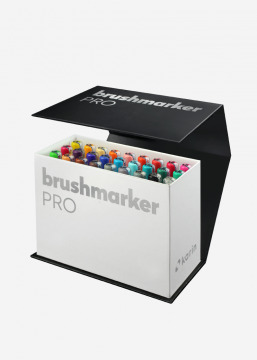 Brushmarkers Junior are a special version of Brushmarkers PRO. They're based on non-toxic food dyes which makes them perfectly safe to be used by children. Additionaly they can be easily removed from clothes, body, walls and other objects. 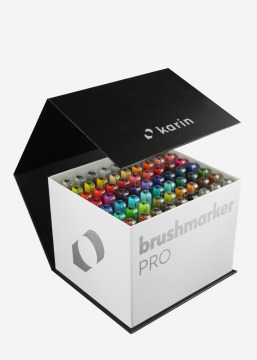 Brushmarkers Junior contain 2.4 ml of paint each. They were produced in the "liquid ink" technology thanks to which they do not change the intensity of colour to the last drop and allow to control the amount of paint on an ongoing basis. They are twice as efficient as traditional filter markers. In addition, they are equipped with a Japanese super durable and flexible nylon tip. They contain non-toxic paints with an intense dye based colour. The colours can be mixed, lightened and obtained through tonal transitions by contacting the ends of the markers. For further details, please go to the Attachments tab.